As promised here is how to set the Multi-rig up ready to fish. 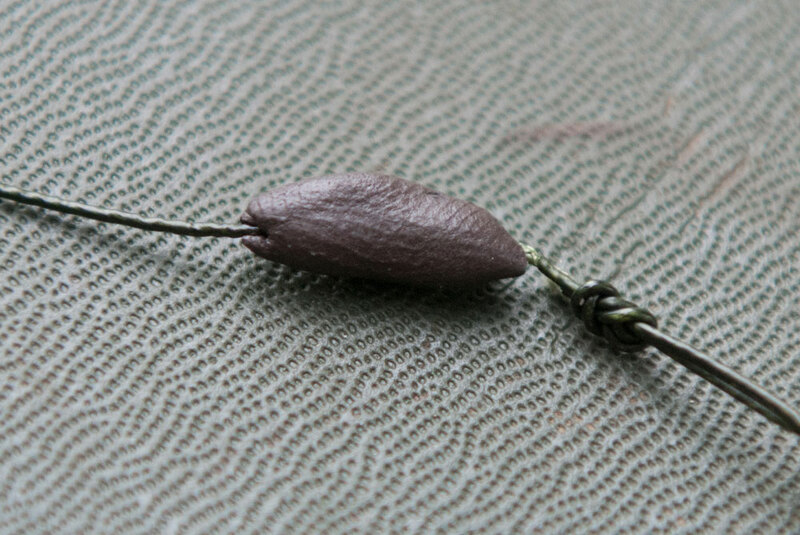 The first thing is to add your bait, in this case I am using a KSC pop up from Xcel Baits which I just “screw” onto the bait spike (If I was using a wafter or bottom bait I would replace the Taska Bait Spike with a Korda Ring Swivel and tie the bait on with floss). The sinker is not heavy enough to balance the pop up so I add tungsten putty moulded around the sinker and test in my bucket until it sits just how I want it. The way I like to fish means that I use single hook baits and I always use a quality Foam Nugget, well actually two! The hook point of the Nash Fang X is nicked through one nugget then each end of that nugget is moistened and the other nugget is gently squeezed on to it. This forms a sort of sandwich which allows the water to dissolve the PVA a lot faster and easier. Setting it up like this means that there is no way it can tangle on the cast, it keeps the bait high in the water which helps the hook length to kick out straight. The nuggets will come free and pop to the top before they dissolve so that you can see exactly where your bait is. 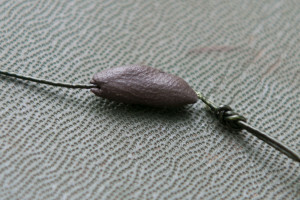 This entry was posted in carp, rigs, tutorial and tagged carp, rigs, Xcel Baits.